The first woman to be appointed to the position, Greenberg brings a fresh focus to the office. When Governor Jared Polis announced his pick for the next commissioner of agriculture in Colorado in December, Kate Greenberg made headlines as the first woman to hold the position. She wasn’t alone: According to a recent Politico report, this year, seven women stepped into the job in states across the country, from Hawaii to Oklahoma to Maine. There are now a record 13 women running state agriculture departments. However, Greenberg’s appointment was even more unique because of her age and background. Instead of a longtime Colorado farmer, she’s 31 years old and has spent most of her agriculture career off the land, working on conservation issues and organizing and advocating for young farmers. Greenberg grew up in Minnesota, farmed in Washington state, and worked for the conservation group the Sonoran Institute before landing in Durango, Colorado, where she became the Western program director for the National Young Farmers Coalition (NYFC) in 2013. “This is a moment that we have some big decisions to make about what the future of agriculture looks like, and if we’re going to have people on the land, and if young people are going to be able to build lives and businesses, and if existing, retiring producers are going to be able to keep their legacy alive by having future generations to pass it down to,” Greenberg said. With his selection, Polis signaled his attention to the issue of farm succession and what the future of agriculture will look like in his state. Other elected officials are doing the same elsewhere: NYFC’s longtime policy director Andrew Bahrenburg, for example, also crossed into government earlier this month, leaving the organization to serve as the legislative assistant on agriculture, energy, and environment for Vermont Senator Patrick Leahy. “The problems we face and the goals we have here in Colorado for agriculture are very much in line with the work I’ve been doing around issues for the next generation,” Greenberg said. 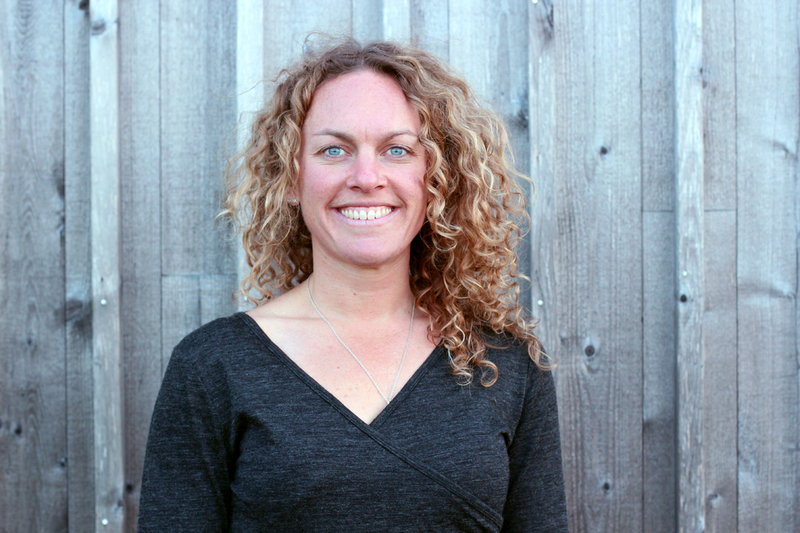 While she was settling into her new role, Civil Eats spoke with Greenberg about those challenges, her priorities, and how she plans to translate her experience advocating for young farmers into environmentally sustainable policies that work for all producers across the state. Is farm succession the biggest issue in Colorado agriculture right now? It’s hard to rank them. There are so many. And sometimes the biggest issue can be where multiple issues come together. What anecdotally I hear from farmers and ranchers is that most people don’t have a succession plan, and it’s a cascade of impacts that come out of that, [including] what will become of our farmland and our farm families. It’s about what kind of choice will consumers have, who will have the knowledge and the skills to do the work, what will rural communities look like in terms of land ownership as we lose more land to consolidation or development. So, all of those questions are implicated by this question of succession. From your work with the NYFC, what did you find were the biggest challenges young farmers in the West were facing? At the top of the list is farmland affordability, and that is something that NYFC found to be true across the board, and we see it here in Colorado. If you’re coming into a farm business and have access to land, it’s hard enough. If you’re starting from scratch, it’s an even steeper climb to get into the business. Access to credit and capital was also always reported to NYFC as a challenge. Student loan debt is another big one that young farmers across the country report facing. It’s not that young farmers are opposed to going into debt—that’s how most operations finance themselves—but when you stack student loan debt on top of that, it becomes a much bigger challenge to finance your business. So it’s this question of “Do I go get a college degree and have student loan debt, or do I skip college and just start farming now and risk not having a degree?” Our work [at NYFC]… was to eliminate having to make that choice, where you afford to get an education and you could also afford to farm. We’re also in our 19th year of drought, so water availability, no matter how old you are or how long you’ve been farming or ranching, is going be front and center for everyone in the state and particularly for agriculture. These are big challenges. Do you have a particular plan to start tackling them? I think the importance of that approach to this work can’t be overstated. My role as an advocate has always been to connect the dots, to connect people to policy… and to be sure farmers have a seat at the table. This role is no different. So this is how I will do this work, regardless of if it’s at the beginning or at the end—by listening and building that community. In terms of what you’ve been hearing, then, do you have a sense of what some of your priorities will be as commissioner? There are three big things. One, supporting the next generation of farmers and ranchers. And this to me is a wide-open field. How do we do this with regards to succession? With workforce development? With training opportunities and education? There are so many ways to look at this question of the next generation. Second, is diversifying market opportunities. I think there’s so much creativity and innovation here in Colorado in agriculture, and supporting and fostering that will be part of our work. Trade, of course, has hit our farmers in a big way, and the department plays an important role in supporting market access for producers. We will continue to do that. I’m looking at local, regional, and international markets and then enabling that creativity to continue to thrive here in Colorado. Agriculture is the second top driver of the economy in the state. So, maintaining [that diversity] is key. The third piece is soil, water, and climate issues of sustainability. However you want to frame it, it’s making sure that farmers and ranchers have the resources they need to invest in building soil health, in protecting and conserving water, in protecting the climate and being active partners in climate mitigation—and doing so in a way that works for them. Again, nothing about this should be prescriptive. It’s all based on the piece of land, the individual, the needs of the operation. The role we can play will be in making sure that farmers have a seat at the table… and are really seen as leaders in that realm. A lot of attention is being called to the fact that you’re the first woman to hold this position. Does that feel significant to you? I’m not here because I wanted to be the first woman; I just want to clarify that. But what does feel significant is what a critical role women have always played in agriculture, yet how infrequently they are recognized for that role. While I’m not dwelling on being a woman, what I hope is that women—and especially young women—will see people like me and all of the other women in agriculture and be able to see themselves as leaders in agriculture, whether that means taking over a family business, starting their own business, getting into politics, [or] getting into administrative duties like this one. That’s my hope: that young women see themselves as leaders in agriculture.